This beautiful hammered bar necklace is made of solid sterling silver. It is one of my most popular sellers at local shows! The bar itself measures 1/4" x 1" and is made of 20 gauge thick sterling. 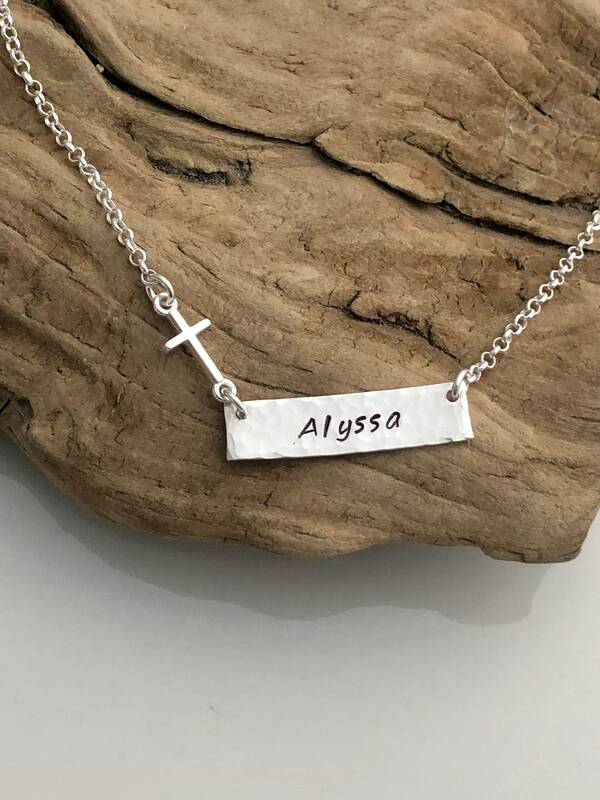 The necklace includes a solid sterling silver cross charm and sterling silver rollo chain. Bar can be hand stamped on both sides. 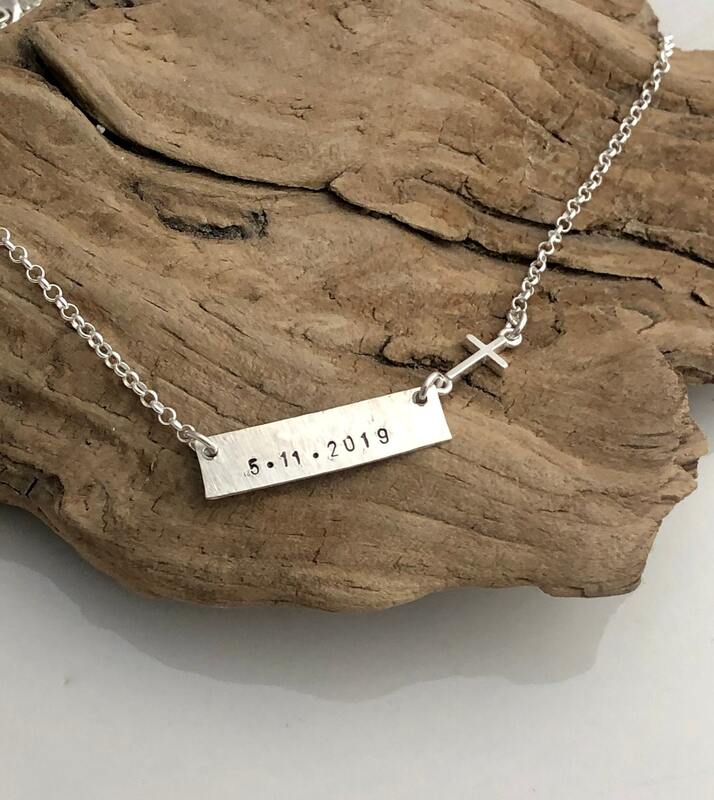 Choose from name, date, monogram or your choice of text. 1. Choose your necklace length from the first drop down menu. 2. Choose your font from the second drop down menu. 3. Enter your requested personalization in the "personalization" section at checkout. * All dates will be stamped in a block font. The necklace includes a sterling silver rollo style chain in your choice of length. The necklace will include a 2" extension.